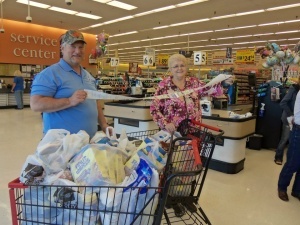 Farm Bureau members, local farmers and ranchers, and volunteers will all reach out to consumers in the community during February’s Food Check-Out in Bradford County. A special effort is made during Food Check-Out week to educate and offer tips on how consumers can get the best of their dollar, all the while buying healthy and nutritious foods. Educational literature is distributed at local grocery stores and lucky shopper gets their grocery bill paid for.